Inmates are spending too much time in their cells, according to an inspection report on a young offenders institution in County Durham. 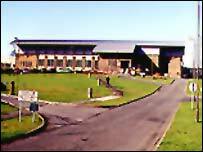 Inspectors said Deerbolt Young Offenders Institution, near Barnard Castle, had improved "purposeful activity and resettlement services". But there was concern about the time spent in cells and a failure to get prisoners to lessons and work. Deerbolt was praised for measures to tackle bullying and suicides. Inspectors found the range and quality of education, training and work had also improved. There was concern that previous recommendations in relation to the construction of a new visitors centre had not been taken up and that the "cramped and inadequate" reception had not been improved. Anne Owers, Chief Inspector of Prisons, said: "Overall, this full announced inspection found that Deerbolt had built on its existing strengths and was an impressive establishment managing a volatile population well. "The departing governor can be suitably proud of what has been achieved, but there remains plenty for his successor to do to ensure Deerbolt achieves its full potential."